On Friday passed the deadline for a report on the murder of the Saudi critic. The discontent is growing among the Democrats. There is growing resentment in the US Congress over the behavior of President Donald Trump in the case of the killed Saudi journalist Jamal Khashoggi. The Trump government signaled on Friday that it was unlikely to meet the deadline by which it should present a requested report to Congress. Trump says he does not have to produce such a paper, said a White House employee. The Democrat Juan Pachon, however, said Trump has no choice: “Either he complies with the law or he breaks it.” The Democrat Eliot Engel said that the refusal shows the need to get to the bottom of the motives of Trump’s foreign policy. Republicans and Democrats had activated a law four months ago that the government 120 days time was for a report. The deadline was 8 February. Congress wants to know if the government wants to initiate sanctions against those responsible for killing Khashoggi. Khashoggi, who had last lived in the US, was killed in October in a Saudi Arabian consulate in Turkey. According to Turkish media reports, he was previously tortured. His body has disappeared to this day. The important US ally Saudi Arabia had initially claimed that the journalist had left the consulate after his visit again. Only weeks later, under great international pressure, had the country acknowledged that the journalist had died in the consulate after a fight. Trump had called this representation immediately credible, while other states demanded further explanations. Khashoggi was a critic of Saudi Crown Prince Mohammed bin Salman. According to the Turkish version, the murder was ordered by the highest authority, which rejects the leadership in Riyadh. Even UN-led investigations have revealed evidence of masterminds in the Saudi Arabian state. 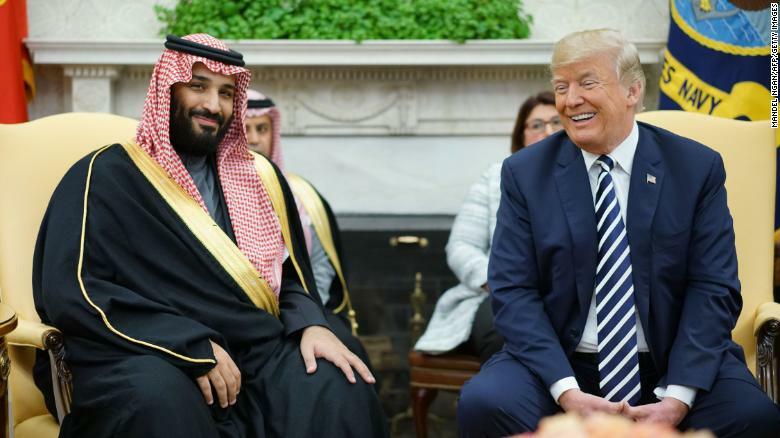 The US intelligence has alleged that Crown Prince bin Salman was involved in the killing and instructed them.